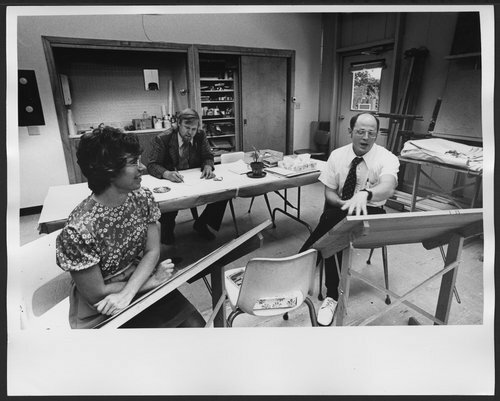 Art Therapists Bob Ault and John Barrett and an unidentified art therapy intern are shown working in the art studio. The Menninger Clinic philosophy of treatment was the bio-psycho-social approach. This philosphy of treatment integrated medical, psychodynamic, developmental, and family systems to treat the total health of patients.